When should the residual approach be applied to multiple items to establish an aggregate standalone selling price? What factors should be considered when using the adjusted market assessment approach? What factors should be considered when using the expected cost plus margin approach? How is the relative standalone selling price method applied to allocate transaction price? The basic accounting principles involved in this example are discussed at length in Standalone Selling Prices. This article applies those principles to a particular set of facts. The “Transaction Summary” section provides a summary solution to the example and the “Conclusion” section of this article provides a summary of the accounting analysis. SmartHomes Inc. (SmartHomes) is a vendor of home-automation equipment. SmartHomes sells a single hub called the “Home Uploading Base” (HUB) through a large retailer in the United States. The HUB connects to a number of items including lights, locks, thermostats, blinds, etc., all of which are sold separately by third-parties (SmartHomes only sells the HUB, not any of the additional items). The HUB connects wirelessly to the products through the “SmartHomes App” which is downloaded on customers’ smartphones. The app allows the HUB to use a wireless internet connection to establish a correspondence between the HUB and the additional third-party products. The app itself is not “capable of being distinct” because it does not provide value to the customer without the HUB and is therefore combined with the HUB as one performance obligation (for more information, see Distinct within the Context of a Contract). In its first year of business, SmartHomes priced the HUB using a variable pricing structure based on the number of third-party items purchased by the customer. The purpose of the variable pricing structure was to encourage integration of the HUB with the third-party items. The HUB regularly sells for prices that vary between $30-$80 and SmartHomes is unable to establish an observable selling price. Included in these transaction prices is one year of post-contract maintenance that may be renewed on a yearly basis for $20. SmartHomes also provides post-contract telephone support for technical problems involving the HUB within the first year after the date of purchase. The telephone support is not offered on a stand-alone basis. A number of competitors sell home-automation equipment similar to the HUB. After performing an extensive analysis of the United States market, SmartHomes concludes that similar home-automation equipment sold in retail outlets is priced between $50-$90, excluding any additional post-contract maintenance. SmartHomes estimates the cost of telephone support is $8 per customer. SmartHomes determines that a $2 margin reflects what the market would be willing to pay for telephone support. SmartHomes enters into a contract with a customer to provide a HUB (including the year of maintenance) for a price of $80. Using the information provided above, what are the standalone selling prices of a HUB (including the “SmartHomes App”), a year of telephone support, and a year of maintenance? Furthermore, how should SmartHomes allocate the transaction price to the performance obligations in the contract? The best evidence of standalone selling price is the price at which the entity sells a promised good or service separately to a customer. If an observable price is not available for a promised good or service, the guidance allows for any reasonable method that maximizes the use of observable inputs to estimate the standalone selling prices, as long as the method is applied consistently for similar circumstances. Though the guidance allows for other estimation methods, this analysis will focus on the following three methods because they are specifically mentioned in the guidance: the residual approach, the adjusted market assessment approach, and the expected cost plus a margin approach. 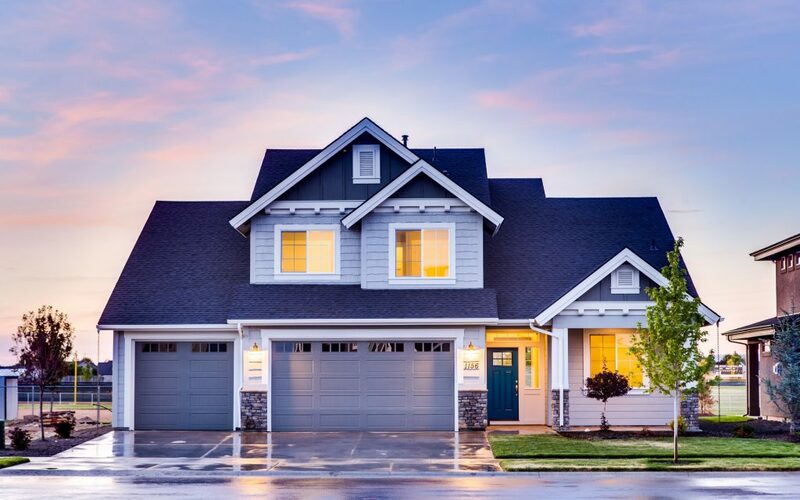 SmartHomes regularly sells the post-contract maintenance for a price of $20 per year with an option to renew the contract at the end of each year. Since this is the only price that SmartHomes offered for maintenance over the past year, the entity concludes that it has observable evidence to establish $20 as the standalone selling price for the post-contract maintenance. Because the HUB/App and the telephone support are never sold separately, a standalone selling price must be estimated for each item. The residual approach is potentially useful in this situation, but it can only be used if two conditions are met. First, at least one of the performance obligations must have an observable standalone selling price (maintenance in this example). Second, the residual approach can only be used for the remaining performance obligations if (1) the price of the goods or services is highly variable or (2) the goods or services have not previously been sold on a standalone basis (for more on the residual approach, see Standalone Selling Prices). KPMG “Issues In-Depth: Revenues from Contracts with Customers (2014)” defines highly variable as a product or service sold to different customers at or near the same time for a broad range of prices. Because SmartHomes sells the HUB to different customers around the same time for prices between $30-80, the prices are considered highly variable. Based on these criteria, the residual approach could be used to estimate the standalone selling prices of both items in this contract: the HUB/App (because the price is highly variable) and the telephone support (because it has not previously been sold on a standalone basis). The revenue standard allows the residual approach to be used to estimate the aggregate standalone selling prices of multiple items (in this case, the HUB/App and the telephone support together). Once the aggregate amount has been determined, other estimation methods may be used to determine the individual standalone selling prices of the aggregated items. Using the residual method in this case, the post-contract maintenance should be allocated $20 because that item is frequently sold separately and has an observable price. After removing the $20 for PCS maintenance, the residual method results in $60 as the aggregate standalone selling price for the HUB and telephone support. The $60 would then need to be allocated between the HUB and the telephone support according to their separately estimated standalone selling prices, as explained in the following sections. Market Share – Home-automation is a growing market, but SmartHomes entered into the market last year and is trying to capture market share. As a recent player in the market, pricing the HUB at the higher end of the range would undermine the company’s strategy to capture market share quickly. Expected Profit Margin – Although SmartHomes is new to the market, it is selling in large retail outlets, which requires the company to order its products in large volumes from its suppliers to meet customer demand. SmartHomes receives large discounts on high-volume purchases which allow the company to meet its profit objectives at a lower price point than a number of its competitors that sell in smaller retail outlets. Distribution Channel – Another advantage of selling through a large retailer is a simplified distribution channel. While the pressures to fill orders and move product are high when working with large retailers, companies are able to get their products into the hands of a large number of customers through a single bulk delivery to a single store. Because SmartHomes works with a large retailer, the costs associated with the distribution channel are significantly lower than a number of their competitors working with small retailers, which will allow SmartHomes to meet profit objectives at a lower price. After considering these factors, SmartHomes determines the standalone selling price of the HUB and SmartHomes App to be $60. After considering all of these items, SmartHomes determines that the telephone support costs $8 per purchase of a HUB. SmartHomes’ internal expectation for margin on low-risk services is 25%. Consequently, a $2 margin should be added to the cost to reflect what the market would be willing to pay for the telephone support. Considering these factors, the company estimates the standalone selling price of the telephone support at $10. SmartHomes allocates $20 to PCS maintenance based on the observable price it charges its customers. The company uses the residual approach to determine an aggregate standalone selling price for the HUB/SmartHomes app and telephone support, which ensures that the maintenance is allocated the full observable price of $20. After determining the aggregate standalone selling price of the HUB and telephone support, SmartHomes uses the adjusted-market assessment approach to determine the standalone selling price of the HUB ($60) and the cost-plus approach to determine the standalone selling price of the telephone support ($10). Using these values, SmartHomes applies the relative standalone selling price method to determine the amount of the remaining transaction price ($60) that should be allocated to the HUB ($51) and to the telephone support ($9). The following table summarizes the price allocation in this transaction. As illustrated in this example, more of the transaction price is allocated to the post-contract maintenance performance obligation under ASC 606 by using the residual approach to determine an aggregate standalone selling price for the other two items. This is one of the key differences in estimating standalone selling prices under ASC 606 compared to ASC 605. This article discusses the process for estimating standalone selling prices to allocate the transaction price to performance obligations. It also provides an example of when the use of the residual approach may be appropriate to determine an aggregate standalone selling price for multiple items for which either (1) the prices are highly variable or (2) the items have not previously been sold on a standalone basis. As illustrated with the post-contract maintenance in the example, some items that have an observable standalone selling price may be allocated more of the transaction price under ASC 606 than ASC 605 if the residual approach is utilized.